For those of you who are unfamiliar with the term "Wapatui" (aka Wap), it is defined by Urban Dictionary as "a Midwest college party drink. The idea is each person brings a bottle of clear booze to the party and it all gets mixed in a large container, for example a garbage can works great (new). 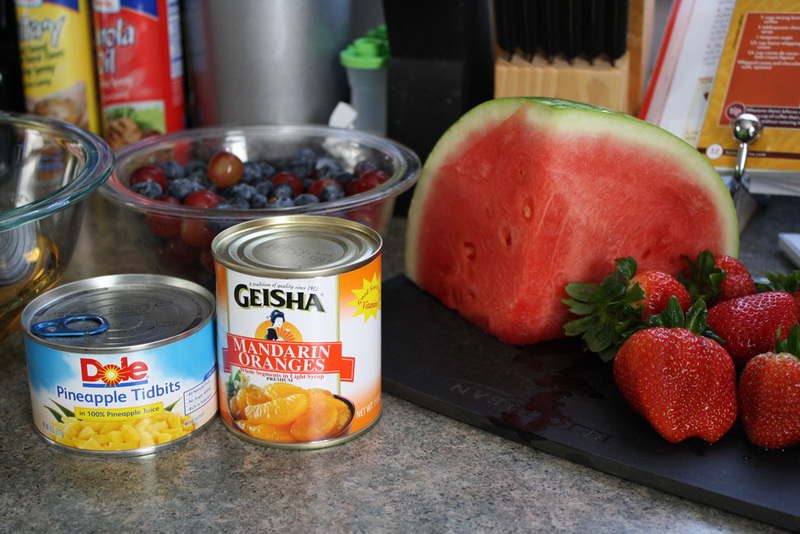 Then mix in several types of fruit and then add a 6 pack of a 'darker beer'." This delightful drink is both tasty and potent. As I was not having a party of 40-50 people, I decided to make a smaller version of the Wap using a few ingredients around the home. 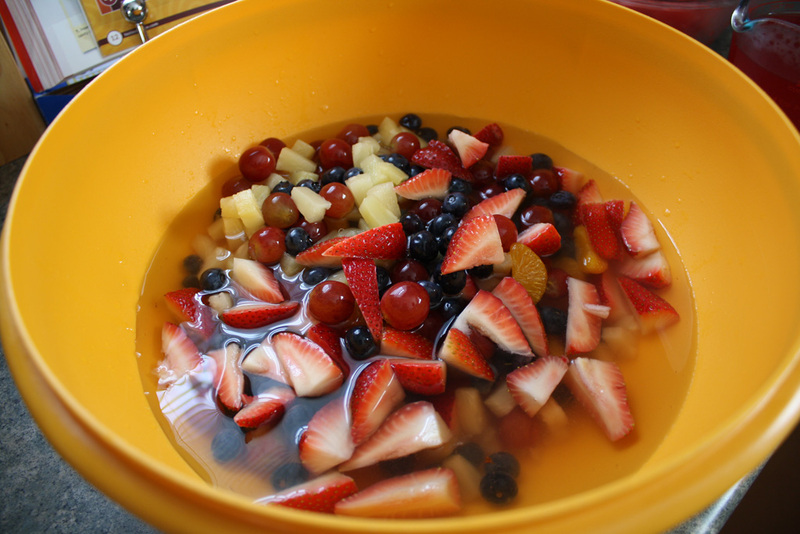 Pour the 3 liquors into a large bowl. 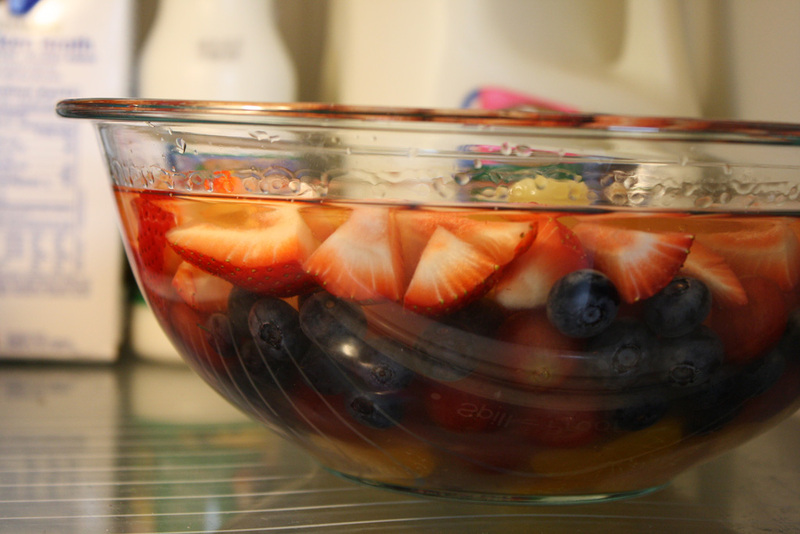 Add the fruits to the liquor bowl. Refrigerate overnight (or if you didn't plan ahead like us, 2 hours works just fine). 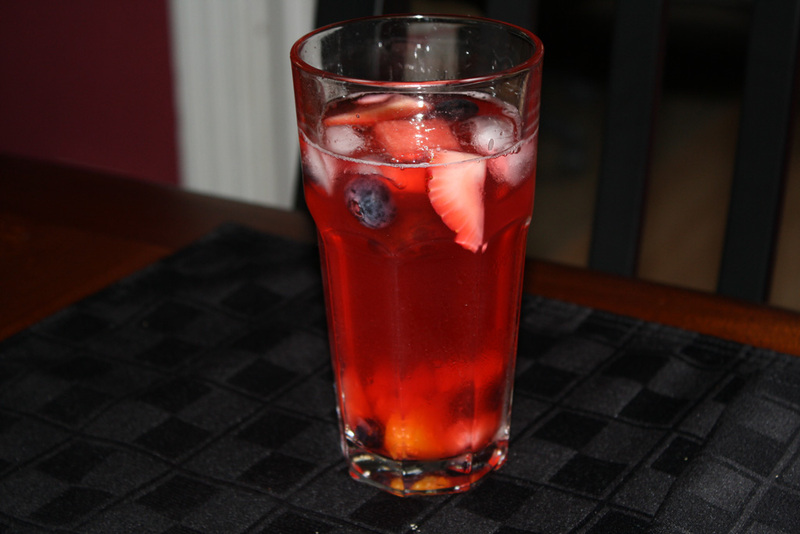 Combine the liquor/fruit combo with the Hawaiian Punch, Cranberry Juice, and lemon-lime soda. Taste and adjust ingredients as needed. The Wap won't taste quite right if it isn't cold, so make sure that you either put ice in your glass or in the Wap itself to get it chilled. Drink with caution!! This drink has a tendancy to sneak up on people who are not careful of how much they've had. (If you consider a shot as 1.5 oz of liquor, then 3 cups of booze is 16 shots). My friends and I made this drink and hung out for the afternoon sipping on it. We all felt the affects of the alcohol and still had about half a Wap left! It's a wonderful drink and I hope you'll enjoy it on a nice, warm day with some friends!